1 Place the pineapple, blueberries, strawberries and kiwi fruit in a breakfast bowl. 2 Cut the passion fruit in half, using a tea spoon scoop out the middle over the fruit in the bowl. 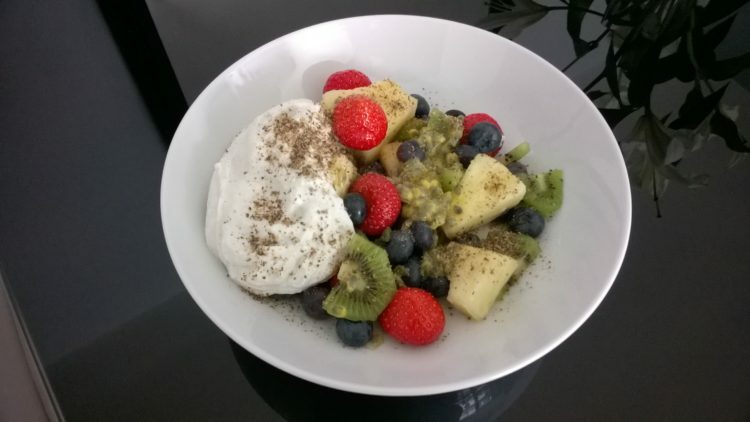 3 Pour the yoghurt over the fruit and sprinkle the chia seeds all over the fruit and yoghurt in the bowl.